All the writing guides say that when you don't know where to start, you should start at the beginning, and while Water's story started long before we came into it, our part starts only 13 days ago. I arrived at work to find an email from our adoption facilitator with the subject line: EEEEKKKK, You've been chosen! Naturally, I called her immediately and she gave me the details and said to pick a time when we could call and speak to Water's birth mother (I'll call her Mama D from now on). We arranged to talk to her the next morning and then barely slept that night. The phone call went fine, all three of us were nervous and both Mama D and I cried a little. I told David afterward that I didn't think we'd scared her off. We found out in that phone call that Mama D was due that day and that her family was leaving for an overseas vacation that couldn't be rescheduled. She was going to have to deliver alone, if Water came after they left. We waited exactly one day to make sure Mama D hadn't changed her mind about us and then I bought a one-way ticket to Seattle. There was no way I was going to let a young woman deliver a baby without someone there just for her if I could help it. Two days after we talked to Mama D on the phone, I got on an airplane. Two wonderful friends from Antarctica met me in Seattle, took me shopping for baby supplies, and fed me great Indian food before dropping me at the hotel. The next day, I got a text from Mama D saying that she was in pain and heading to the hospital, so I grabbed a cab and headed over. Our first in-person meeting was in the hospitals triage room with Water's heart beat thumping in the background. 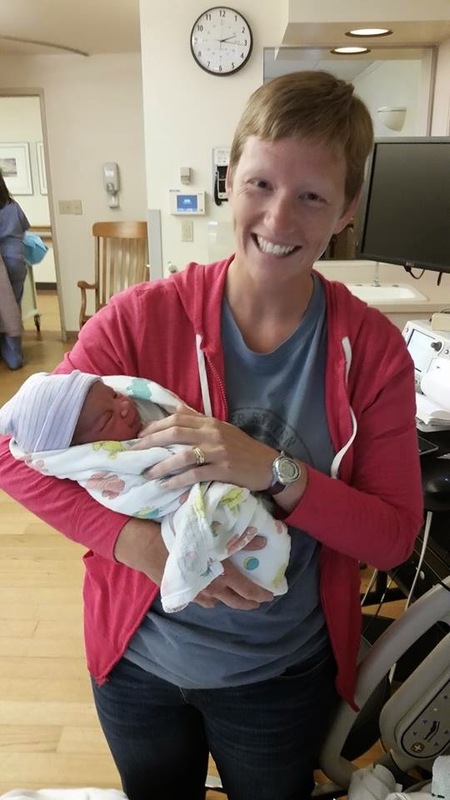 She was the same person she'd been over the phone: calm, thoughtful, and intelligent, and she had a beautiful smile, even through braxton-hicks contractions. An hour after I arrived, the hospital released her with better instructions on how to tell when she was in labor. Her mom had met us at the hospital and drove us back to Mama D's apartment. We spent some more time getting to know each other there and over lunch. We met each day after that, to go to a museum, to have a meal, or see a movie, working towards a good start on the relationship that will be a part of the rest of all of our lives. Friday night at 2AM I got the call I'd been waiting for: Mama D was in labor and heading to the hospital. My mom had come into town to help with the baby and drove me over to the hospital. Mama D was definitely labor this time and it progressed smoothly until almost 1:30pm on Saturday. 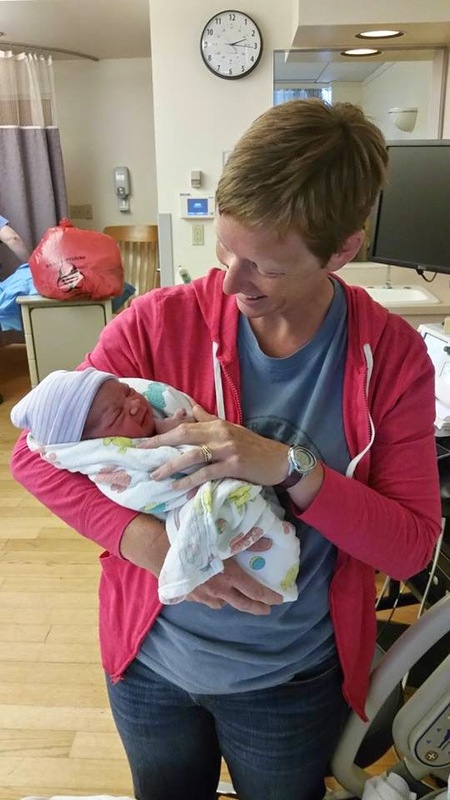 By then, she was ready to push and the nurses were worried that she would have the baby before the doctor arrived. He got there just in time and 12 pushes later, Water was born. One of the things that I was really worried about when I found out that her mother couldn't be there for the birth was that I was going to be the only other person with her besides the nurses. I was happy to be there but I've never been through labor myself or been with another woman while she labored. I was terrified that I was going to useless to Mama D. Happily, two days before she went into labor, she and her boyfriend had told his mother, H, about the pregnancy. She was very supportive of Mama D and said that she wanted to come for the delivery. She'd had two children and knew what to do and say to make Mama D feel better. I felt like I was watching an expert and was so grateful that H was there. Water, Mama D, and I stayed in the hospital together for the next two days, getting to know the baby. Mama D breast fed him for the first day and half and then I took over with the bottle when she was ready to stop. We shared a room, watched TV, slept, and talked about the future. Mama D wants to have a very open adoption relationship and I think the time in the hospital helped with that. We were all released on Monday afternoon after the hospital received our custody paperwork. There were lots of hugs and tears as Water and I left with my mom and Mama D went home with her boyfriend, but rather than being an end, it was just the beginning. What a wonderful beginning! I am so glad you were able to be there for Water's birth. Congratulations, again! Can't wait to see photos of all 3 of your beautiful babies together. I am sure Water will be well loved. This got me more than a little teary-eyed. I read your blog before we moved to Kwaj, dropped off while we were there (that just felt strange for some reason), and I'm so happy to hear of your newest family member now that we've left. Congratulations! Not been reading blogs lately, congratulations! One sentence stuck out to me..."two wonderful friends from Antartica" Not many people in Antartica and you have TWO friends from there! I am in tears. I know I have an amazing friend in you and reading this makes me know that you have only become more and more incredible since I saw you last. I am so glad you could be there for this amazing moment. All the love and warm fuzzies to you and your beautiful family. Awww, just so precious and beautiful. Lovely beginnings and precious moments indeed!